Vinyasa Flow ♫ – Utilizing Sun Salutations, strength building, and connected movements, Vinyasa Yoga will build confidence and help you stay present and centered. Flowing around the obstacles that come your way, this energetic practice will empower you with the strength to face anything. Yoga Foundations: Back to Basics – If you’re just getting started on your yoga journey, haven’t practiced for a while, or find yourself wanting to focus on the foundations of your practice, this yoga class is for you. Back to Basics begins to introduce fundamental postures and teaches you how to use the breath to transition between poses. Expect to feel stronger, more flexible, and have an increased awareness, both on and off your yoga mat. Deep Stretch Flow (Yin and Yang) ♫ – Set to candlelight and eclectic tunes, yoga class begins with a short heat building flow followed by long deep stretching. Yummy! Let Go and Flow ♫ – Set to candlelight and soothing tunes, tune out of your day and into your breath. This soothing flow will leave you feeling calm, centered, and peaceful. Featuring Carey Anne Hayes on Guitar every Monday! Candlelight Flow ♫✰★✵ – Set to candlelight and peaceful tunes, this gentle flow class will leave you feeling warm, cozy, and ready for bed. Sweet dreams. Flow Like a Warrior 웃 ♫ – No magic potions, no fairy dust. No one to do it for you, just me. I will push you and show you how to put one determined foot in front of the other. I am called your inner warrior. Dig deep down and find me. Flow to da Rhythm ♫ – Turn off your mind, close your eyes, and let the music take over your soul as you connect to your breath and flow to da rhythm. 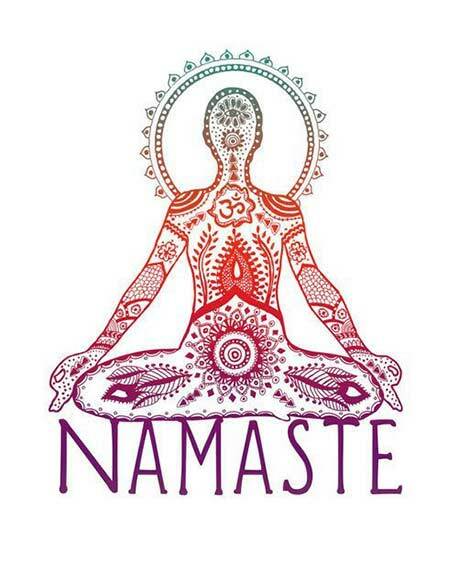 Rise and Shine Yoga ♫ – Rise and shine yoga is a joyful flow class that will stretch and strengthen the whole body. Start your morning by saluting the sun! Power Flowetry ♫ – Flowetry is: poetry in motion, flowing from the soul! Experience the perfect blend of sweaty and serene. Class sequencing typically includes pranayama, intermediate vinyasa flows, and introductory arm balances. Restorative Lounge ♫ – Deeply relax and release tension residing in the mind and body with this replenishing and nourishing experience. You will hold passive poses for longer periods of time with the support of bolsters, blankets, blocks and straps. The perfect way to set yourself up for a rejuvenating night’s sleep, easing the mind, body, and spirit. Breath and Sound ॐ ♫ – Breathwork caught me by surprise… Within minutes my body was pulsing with vibrations and I was vaulted into a new state of awareness. Long-buried sorrows and emotional wounds surfaced and gently melted away as I tapped into pure joy, love, and inner peace. I had stumbled upon an ancient yogic breathing technique that was better than drugs, and I was addicted. Come see for yourself. Candlelight “Deep Stretch” Yin ♫ – Yin Yoga emphasizes a deep stretching of the muscle tissues with the help of blocks, bolsters and straps. This lovely stretching allows your joints to decrompress, open, and exhale a sign of relief. Yogalates ♫ – A core focused class that fuses the ancient asanas of yoga with the core centered movement of Pilates. Tone, sculpt, and build balance and flexibility as you flow through the fundamentals of both practices. Yoga Dynamix ♫ – Pushing the boundaries of a traditional yoga class we will experiment with anatomically focused flows infused with specialized Physical Therapy movements. Led by Doctor of Physical Therapy, Kevin Davi. 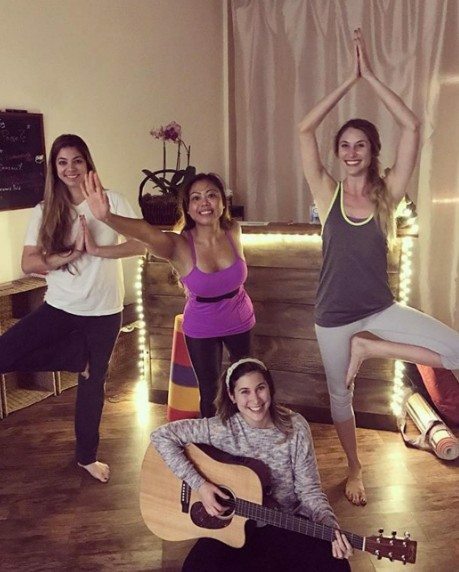 Yoga Meditation Flow – A Hatha Yoga class infused with insight meditation techniques. Expanding our awareness from the breath, to bodily sensations, and mental processes, we gain personal insight and begin to release habitual unwholesome reactions to all the stimuli in our daily lives.